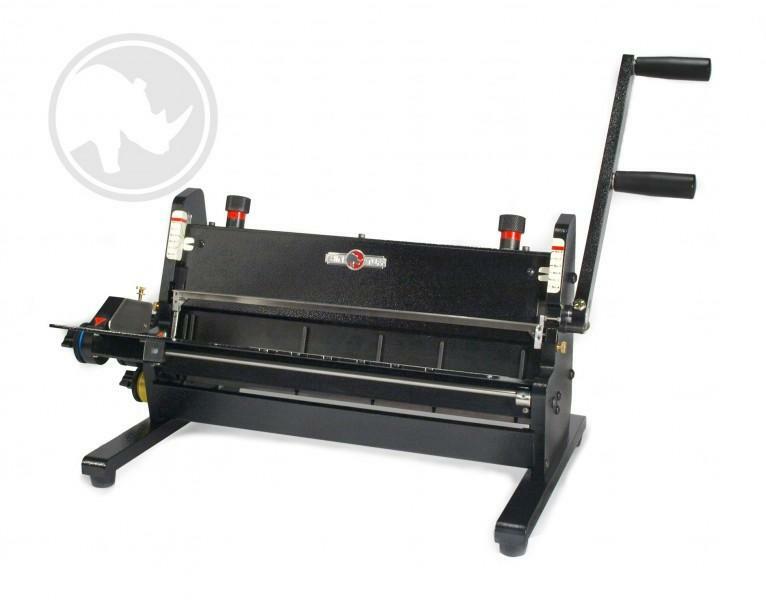 The HD 8370 Insert-A bind wire inserter/closer closes 3:1 pitch double loop wire in one easy step, eliminating manual insertion of wire into documents. The HD8370 is easily adjustable for varying sizes from ¼ inch to 9/16 inch (6mm-14mm). The HD8370 can best stand-alone or mounted to any vertical Rhin-O-Tuff OD or HD punch (optional mounting kit available). The Onyx HD8370 offers fast and reliable wire closing without the need to manually hand insert/thread the double loop wire prior to closing it around the document like you do with most electric wire closers.The HD8370 and HD8318 Wire Closers are much faster to operate as they insert and close the wire in one easy motion. Many electric wire closers have multiple manual processes including manually lining up the holes with the wire, manually inserting the wire then keeping it inserted as you move the document to the electric wire closing area to be closed.